Vitamin C is a key ingredient in skin care products. There are perhaps no other ingredients available to us that play a role as vital as Vitamin C. From brightening, anti-aging, scar fading to evening out your skin - there’s nothing that Vitamin C can’t do. It’s one of those ingredients that every dermatologist will recommend and it’s the only ingredient that will give your skin that clarity and luminosity. 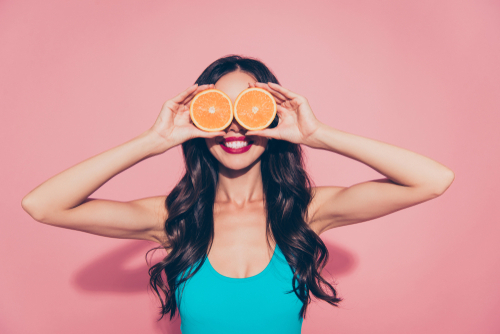 It’s one of my sworn beauty secrets and unfortunately, not many of us know and harness the power of Vitamin C. But I promise you this, once you go ‘C’ you can’t go back! Finding the right type of Vitamin C for your skin type is just as important as investing in a good Vitamin C product. Some skin types are intolerant to Vitamin C and break out as a result. If you are one of those people, this is where your dermatologist can help. The benefits of Vitamin C for skin are just as good as the benefits of Vitamin C for health. It improves your heart health, regulates your blood pressure, helps with common allergies, boosts your immunity and also helps with weight loss. Consuming foods and vegetables rich in Vitamin C is the best way to reap the benefits of this ingredient. Oranges, kiwi, tomatoes, green apples, lemons, banana are some of the most common natural sources of Vitamin C.
Vitamin C can be found in multiple forms in skincare. The main ingredient in Vitamin C is L-ascorbic acid. Most formulations that contain Vitamin C contain a dose varying from 5-20% and it is always recommended that you start with a lower dose and allow your skin to build a tolerance to it. 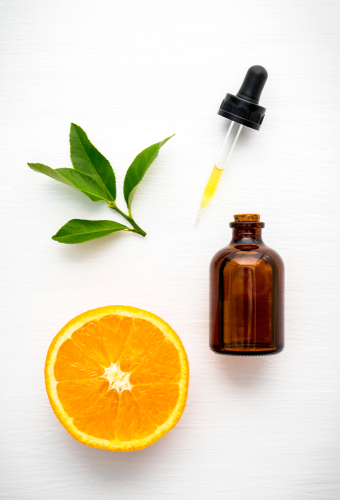 The most common form of Vitamin C is a serum, it’s a potent concentrated dose of Vit-C that you apply to your skin before your moisturiser and sunscreen. Other forms include a powder, a lotion, a cream or a mask. Vitamin C can be used in your skincare and body care routine. It’s safe to be used during the morning and night. If you do end up using Vitamin C during the day, make sure you don’t skip using sunscreen. 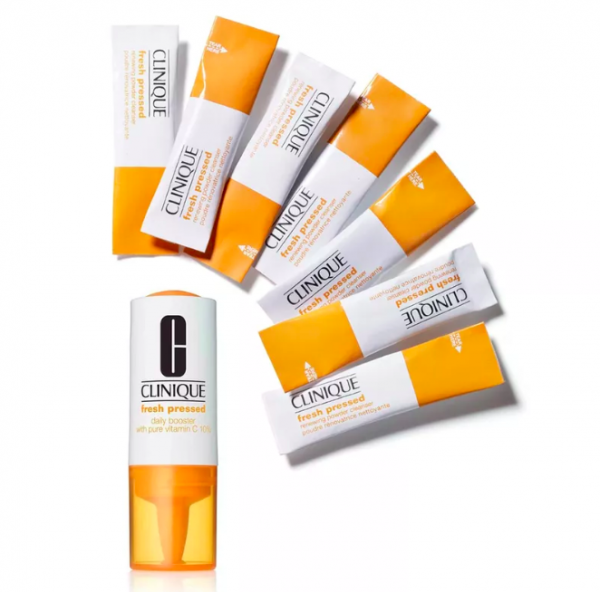 Vitamin C makes your skin sensitive to sun exposure, so using sunscreen religiously every day is the only way to reap all of its benefits without having to deal with sun damage. All of us have to deal with acne at some point or the other, but what’s worse than acne are the scars that are left behind. If you have a tendency to pick at your acne, you would have first-hand experience in dealing with the scars that it leaves behind. Vitamin C boosts your skin’s ability to regenerate faster and helps lighten those pesky acne scars. It inhibits the production of melanin in your skin causing scars and blemishes to lighten. Pigmentation can occur for a wide variety of reasons but using concentrated Vitamin C on pigmented areas help to significantly lighten and reduce their appearance. Vitamin C helps pigmentation on your face and body. Because of its ability to alter the production of melanin, pigmented areas can seem visibly brightened. Using Vitamin C in your daily skincare regime helps to give your skin that overall luminous glow. It brightens your complexion from the inside and fades scars and blemishes giving your skin that healthy, radiant glow. Vitamin C is full of antioxidants that boost collagen production and improve your skin’s texture. In time, your skin looks firmer, brighter and your fine lines and wrinkles are less pronounced with an overall improvement in your skin. Vitamin C helps protect your skin against sun damage and harmful UV rays. But that doesn't mean that you can skip the sunscreen. If you use any Vitamin C treatments, ensure you apply sunscreen before you leave home. You can use Vitamin C in many ways! Use it as a serum, or in the form of a moisturiser or even a night cream. Vitamin C makes your skin a little more sensitive, so it is always recommended to do a patch test first to see if your skin reacts well. Sometimes, Vitamin C causes milk irritation, tingling, redness or even acne. If you experience any of these side effects, speak to your dermatologist or do a patch test first. Alternatively, you could also dilute the product with a Vitamin E moisturiser to minimize irritation. Do not forget to apply sunscreen if you're using any kind of treatment product. A lot of products make your skin more sensitive to the sun. Start with the least concentration of Vitamin C and work your way up. This will allow your skin to have a reasonable transition period and minimize the risk of any irritation. Vitamin C should be stored in a cool, dark place away from sunlight. Always make sure you are closing the cap tightly as oxygen can breakdown your Vitamin C serum. A Vitamin C product loses it's efficacy over time so make sure you use it up in the recommended time frame. Some serums also change colour over time, this is usually caused by exposure to light. This is why it is advisable to keep the product away from direct heat and sunlight. As is the case with any other skin care products, apply from the lightest to the heaviest product. If you are using a Vitamin C serum, it should be the first product you apply to your skin after cleansing and toning. Don't mix Vitamin C with other treatment products like retinol or niacinamide. If you must use both together, use one during the day and the other one at night. A Vitamin C Serum is the easiest product to incorporate into your skincare routine. It's easy to use and practically anyone can use it. A serum is also one of the more effective ways to ensure that your skin reaps all the benefits that L-ascorbic acid has to offer. This is because a serum has a watery consistency allowing it to penetrate through to the deeper layers of your epidermis. This being said, Vitamin C serums always tend to be slightly more expensive as compared to other serums. With Vitamin C, you can typically see results in about a weeks time but you have to continue to use it to maintain your results. You will feel your skin looking brighter and your scars less noticeable and as time passes, you will notice a gorgeous glow on your skin and your lines and wrinkles will start to fade away. Here are a few Vitamin C products that are going to change your skin for the better! 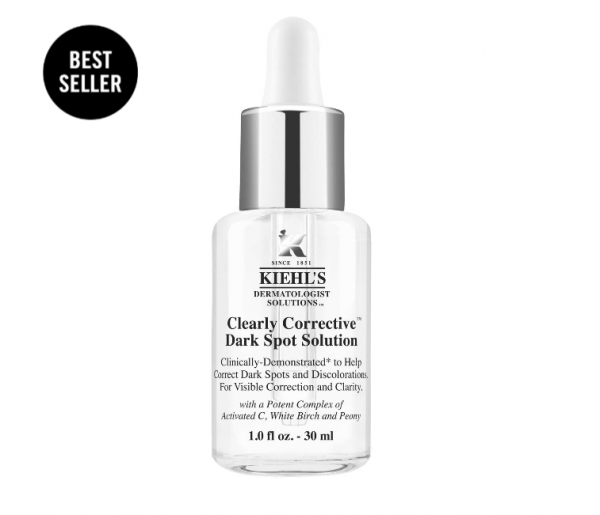 This is a potent serum which gradually reduces dark spots, blemishes and hyperpigmentation. The key ingredients - Vitamin C, White Birch Extract and Peony Extract focus on reducing dark spots while improving your skin's clarity. You can use it during the day and even at night. While this is a tad bit expensive, it is definitely worth the investment. Price: Rs 1700, Buy It Here. If you already have a set skincare routine and don't want to change it, this is a great product. It's a concentrated form of fresh Vitamin C that can be mixed in with anything you use. Add it to your sunscreen, moisturiser or even serum - the choice is all yours. Price: Rs 1745, Buy It Here. Looking for a day cream? 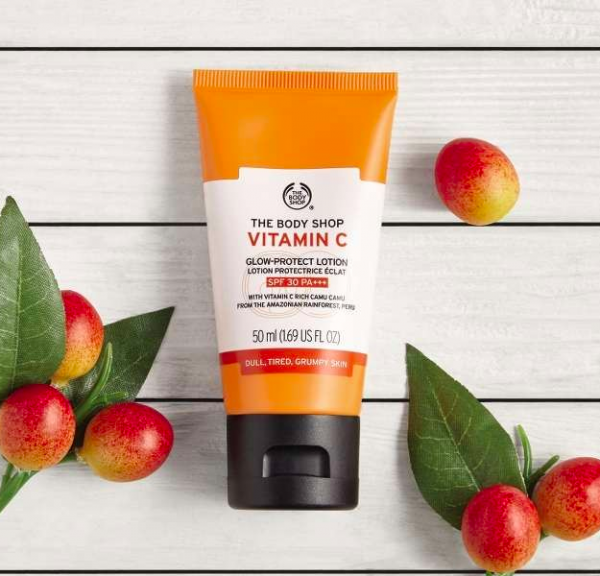 You might want to consider picking up a sunscreen with Vitamin C instead and this one is perfect! It restores and brightens dull skin while protecting you from the sun, it's a win-win combination. Price: Rs 454. Buy It Here. For all you experienced Vitamin C users, this is pure L-Ascorbic acid powder. Get ready to customise your concentration! Add it to your serums, moisturisers, body lotions and even face masks to redeem the benefits of Vitamin C all over your body. The best part? 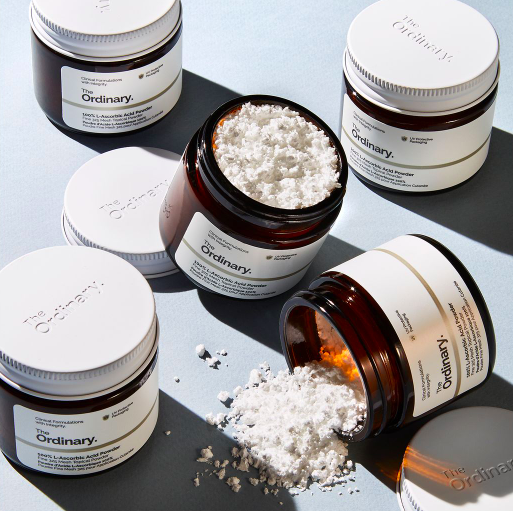 This powder costs only a fraction of the fortune you would end up paying for other Vitamin C serums. One of my favourite ways to use this is to mix it with the Hyaluronic Acid serum of the same brand to increase its efficacy and hydrate my skin on the go. Looking for more Vitamin C products? Check out this post!